The River Thames (/tɛmz/ (listen) TEMZ), known alternatively in parts as the Isis, is a river that flows through southern England including London. At 215 miles (346 km), it is the longest river entirely in England and the second longest in the United Kingdom, after the River Severn. 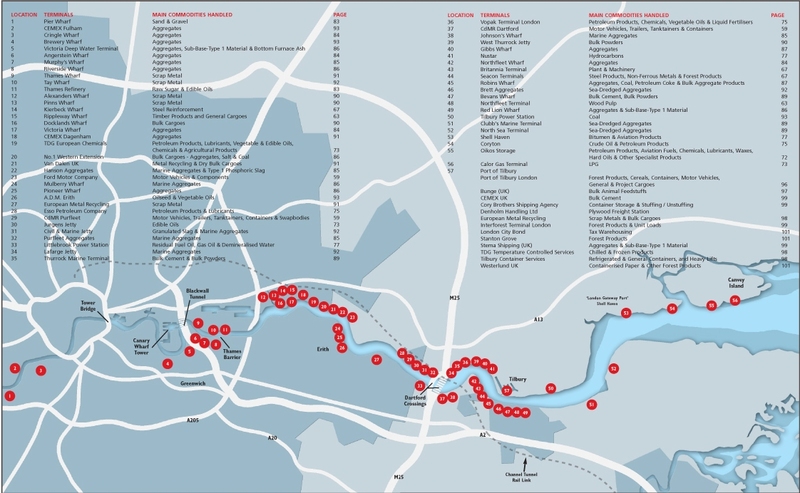 ^ "Historic River Thames" (PDF). Environment Agency. Retrieved 14 June 2010. Benn's Island, previously named Church Eyot, Kember’s Eyot and sometimes referred to as Benn's Ait, is a private 0.1-acre (0.040 ha) ait (island) on the River Thames south-west of London. It is among a string of narrow islands above Molesey Lock and due to its clubhouse and size — the second-smallest named island on the Thames — it has deep foundation pilings to raise the building more than 1 m above the water line. Corporation Island is an island in the River Thames in England. It is on the Tideway near Twickenham between Richmond Bridge and Richmond Railway Bridge and is opposite the river frontage at Richmond, London, England. Corporation Island is unpopulated and is heavily wooded with white willows, crack willows and weeping willows, and hybrid black poplars. The island, as with other nearby islands on this part of the Thames, is often frequented by herons. Just downstream of Corporation Island are two small islands called Flowerpot Islands. These are almost completely covered by hard surfaces, and have only one or two mature trees in the centre of each. Grays (or Grays Thurrock) is the largest town in the borough and unitary authority of Thurrock in Essex and one of Thurrock's traditional (Church of England) parishes. The town is approximately 20 miles (32 km) to the east of London on the north bank of the River Thames, and 2 miles (3.2 km) east of the M25 motorway. Its economy is linked to Port of London industries, its own offices, retail and Lakeside, West Thurrock. Hampton Ferry is a pedestrian and cycle ferry service across the River Thames in England. The Harrods Furniture Depository buildings flank the South bank of the River Thames near Hammersmith Bridge in Barnes, London SW13. The Harrods Depository was built on the site of an old soap factory in 1894 as a storage centre for the larger items that could not be taken into Knightsbridge to the world-famous Harrods department store. The present salmon-pink terracotta clad buildings date from 1914. The architect was W. G. Hunt.The buildings, which are Grade II listed, are no longer owned by Harrods but retain many of its original external features. In 2000 the conversion to a residential estate was completed, consisting of 250 townhouses and penthouse suites known as "Harrods Village". William Hunt Mansions, the main riverfront building, is a key marker post on the annual Oxford and Cambridge Boat Race between Putney Bridge and Chiswick Bridge. Livett's Launches is a boat hire company on London's River Thames. The company specialises in filming and marine services, marine logistics, pier bookings and private and ticketed charters along the River Thames in London, United Kingdom. Livett's also own and operate Putney Pier and Butler's Wharf Pier, Shad Thames. Livett's Launches was founded by Chris Livett and Belinda Livett in 1983. The Livett family has a long history on the Thames and have owned companies on London's waterfront since 1710. Chris Livett is a seventh generation Waterman and was the youngest Master of The Company of Watermen and Lightermen, headquartered at its guild hall in Billingsgate, and serves as a Waterman to Queen Elizabeth II. Alongside Livett's Launches Livett's run Thames Luxury Charters organising private boat charters on board their privately owned fleet, and Bennett's Barges, offering transportation and waste management services on the River Thames, River Medway and South East waterways. Putney Sculpture Trail encompasses nine sculptures by British sculptor Alan Thornhill which are permanently publicly sited along the south side of the River Thames to either side of Putney Bridge, in the borough of Wandsworth.They are located between Leaders Gardens to the west and Prospect Quay/Riverside Quarter to the east – a distance of approximately one mile. The first sculpture, Load, was unveiled in 1989. The others were publicly launched on 14 September 2008. Richmond Lock and Footbridge is a lock, rising and falling low-tide barrage integrating controlled sluices and pair of pedestrian bridges on the River Thames in south west London, England and is a Grade II* listed structure. It is the furthest downstream of the forty-five Thames locks and the only one owned and operated by the Port of London Authority. It was opened in 1894 and is north-west of the centre of Richmond in a semi-urban part of south-west London. Downstream are Syon Park and Kew Gardens on opposite banks. It connects the promenade at Richmond with the neighbouring district of St. Margarets on the west bank during the day and is closed at night to pedestrians - after 19:30 GMT or after 21:30 when BST is in use. At high tide the sluice gates are raised and partly hidden behind metal arches forming twin footbridges. It was built to maintain the lowest-lying head of water of the forty-five navigable reaches of the Thames above the rest of the Tideway. Below the structure for a few miles, at low tide, the navigable channel is narrow and restricts access for vessels with the greatest draft. The next major point of mooring below the lock is, accordingly, at Brentford Dock. The Royal Borough of Windsor and Maidenhead is a Royal Borough of Berkshire, in South East England. Its nearest border to London, being Maidenhead is approx 30 miles. It is home to Windsor Castle, Eton College, Legoland Windsor and Ascot Racecourse. It is one of four boroughs entitled to be prefixed Royal and is one of six unitary authorities in its county which has Historic and Lieutenancy county status. Shakespeare's Globe is the complex housing a reconstruction of the Globe Theatre, an Elizabethan playhouse associated with William Shakespeare, in the London Borough of Southwark, on the south bank of the River Thames. The original theatre was built in 1599, destroyed by fire in 1613, rebuilt in 1614, and then demolished in 1644. The modern Globe Theatre reconstruction is an academic approximation based on available evidence of the 1599 and 1614 buildings. It is considered quite realistic, though contemporary safety requirements mean that it accommodates only 1,400 spectators compared to the original theatre’s 3,000.Shakespeare's Globe was founded by the actor and director Sam Wanamaker, built about 230 metres (750 ft) from the site of the original theatre and opened to the public in 1997, with a production of Henry V. The site also includes the Sam Wanamaker Playhouse, an indoor theatre which opened in January 2014. This is a smaller, candle-lit space based on the indoor playhouses of Jacobean London. The Sackler Studios, an educational and rehearsal studio complex, is situated just around the corner from the main site. There is also an exhibition about Shakespeare's life and work. Swan Island is a small, privately owned island in the River Thames at Twickenham, in the London Borough of Richmond upon Thames, London, England. It is situated on the Tideway about 3⁄4 mile (1.2 km) downstream of Teddington Lock. The island has a commercial boatyard and in addition to residential mooring for boats. It is connected to the Twickenham bank by a small bridge, which is suitable for vehicles as well as foot traffic. Teddington Lock is a complex of three locks and a weir on the River Thames in England between Ham and Teddington in the London Borough of Richmond upon Thames. It was first built in 1810. The limit of legal powers between the Port of London Authority, the navigation authority downstream to the North Sea and that upstream to small headwaters of the river, the Environment Agency, is marked nearby by an obelisk on the "Surrey" (towpath, right) bank. The weir named Teddington Weir marks the river's usual tidal limit and is the lowest on the Thames. This lock is the lowest full-tide lock and second lowest of all-tide locks on the Thames. The complex of civil engineering or infrastructure in essence consists of a large long weir and three locks: a conventional launch lock in regular use, very large barge lock and a small skiff lock. The barge lock was made to accommodate long barges, steamers or passenger ferries and has an additional set of gates half-way to operate more quickly for shorter craft. The staggered structures incorporate two reinforced narrow islands. The upper island is traversed by and accessible by the lock gates or Teddington Lock Footbridge. The Diver (full name:The Diver:Regeneration) is a sculpture by John Kaufman located in the River Thames at Rainham, east London. The Diver is made of galvanised steel bands on a steel frame and is 15 feet (4.6 m) tall and approximately 6 feet (1.8 m) wide and is partly submerged every high tide and totally submerged by spring and neap tides. The Diver is constructed from (approx.) 300m of galvanised steel banding and 3000 nuts and bolts and weighs 3 tons. It is secured 26 feet (7.9 m) into the Thames mud.